DMA’s got game. And that game is basketball. This Late Night, we’re teaming up with the Dallas Mavericks to put a sports-themed spin on our regular Late Night programming. And in a nod to both our encyclopedic collection and the Mavs always-international team roster, the evening will also have a global focus. One of the many activities featured tomorrow is our new ‘Round the World self-guided tour. Self-guided tours are bite-sized: they focus on four to five artworks each, packaging our wonderfully expansive collection into short, themed looking adventures. Self-guides include facts about artworks you can’t find on gallery labels. They provide artwork images and gallery locations, getting you to the right space in the Museum, but letting you wander just enough that you get that fun I-just-found-something-on-a-scavenger-hunt sort of feeling when you find yourself right in front of the artwork. Self-guides are cheeky and fun, and in the case of ‘Round the World, chock-full of sometimes veiled and other times blatant Mavs/basketball references that some of us here (ahem!) are pretty jazzed about. 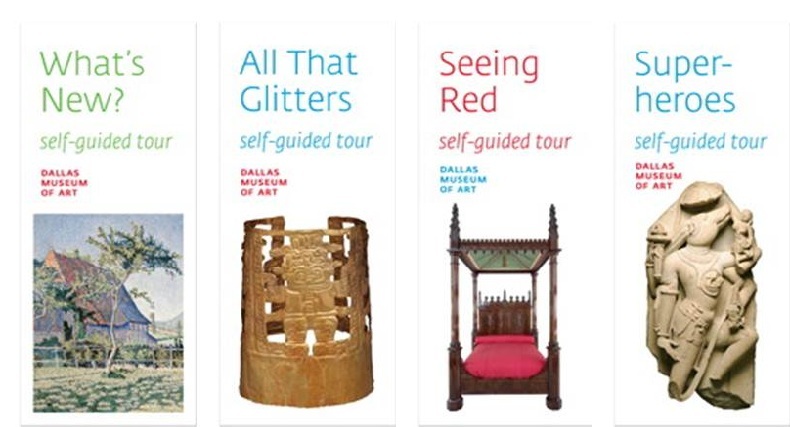 So if you’d like to see an artwork that’s nothin’ but net, explore a small exhibition devoted to the DMA’s Big German (he’s a 16th century print-maker), or see two objects that could fit in courtside at a Mavs game, pick up our ‘Round the World self-guided tour at the Visitor Services Desk tomorrow night. And if you can’t make it to Late Night, ‘Round the World and our many bite-sized tours of the collection can be found in downloadable pdf versions on our website. Well folks, we have officially broken one hundred degrees, which means that the Dallas summer is really here. You may get a chance to escape the weather with a trip to cooler climates. But I am here to tell you that it is possible to beat the heat and enjoy a fun-filled day of play right here in Dallas! At the Dallas Museum of Art you can travel all over the world, eat any type of food your heart desires, and participate in creative activities without ever leaving downtown. With over 25,000 works of art at the DMA, chances are that you won’t be able to see everything in one day. But don’t worry, any of our bite-sized tours will show you how to have a quality experience at the DMA instead of a quantity one. You can choose from four different themes to match your interests, either by downloading and printing them at home or by asking the Visitors Service Desk for a copy. For a more customized experience, use your smartphone to access interactive content specific to each gallery. With a variety of lunchtime favorites, the bright and open Atrium Cafe is a great place to have a meal. The Sculpture Garden is a perfect spot to relax, soak up some sun, and enjoy your lunch while surrounded by art. Or try any one of the tasty and affordable food trucks just a couple of blocks away; they have something for everyone! If you are a late-nighter, you are in luck, because every Thursday Night the Museum stays open until 9:00 pm. 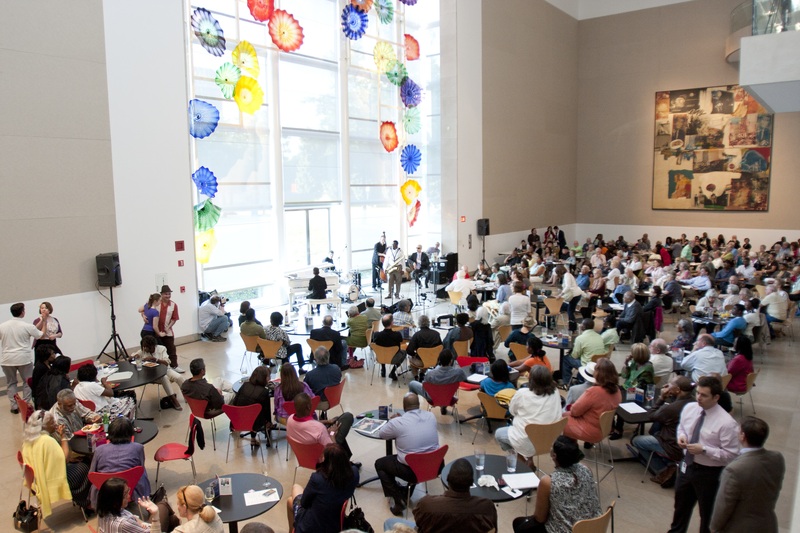 You can enjoy a cocktail while listening to jazz music in the Atrium Cafe, or create an original work of art in the Center for Creative Connections. Every third Friday of the month the Museum stays open until midnight, offering a variety of fun and free programs inspired by the Late Night theme of the month. Need more ideas for engaging with the collection? Check out our list of 100 Experiences.